Living a Fit and Full Life: New STAR WARS Model & Craft Kits: Darth Vader, Millennium Falcon, Among New Products Arriving in October! New STAR WARS Model & Craft Kits: Darth Vader, Millennium Falcon, Among New Products Arriving in October! Explore Darth Vader’s many roles on his journey from Jedi Knight, to father, to Sith Lord and commander. Then build the ultimate papercraft model of Darth Vader, complete with a sound module of the Dark Lord’s eerie breathing and two memorable movie quotes! 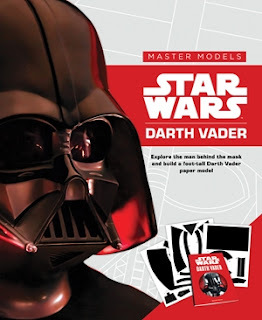 Star Wars Master Models: Darth Vader includes ten sheets of die-cut pieces and an audio component, as well as step-by-step instructions for building the ultimate papercraft bust of Vader himself. The included book, Darth Vader: The Man, The Warrior, The Commander, examines the decision and sacrifices that led Vader from Jedi Padawan to Emperor Palpatine’s second-in-command. Side bars also give a close-up look at the technical details of his life-sustaining suit, his lightsaber, and his TIE fighter. Relive the Millennium Falcon’s daring rescues and escapes as it aided in the defeat of both Imperial Death Stars. Then build the ultimate model ship complete with lights and sound! 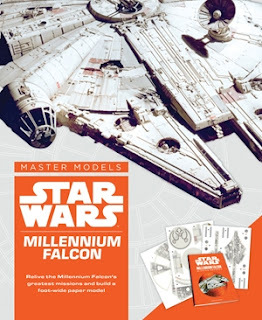 Star Wars Master Models: Millennium Falcon includes die-cut pieces, a sound module, LED lights, and a detailed instruction booklet to build a foot-wide model of the galaxy’s most famous ship. Also included is Millennium Falcon: Mission Reports, an illustrated book that takes us back through seven pivotal moments in the Star Wars saga when the Falcon really showed its stuff, from escaping Imperial stormtroopers to shuttling Luke and Obi-Wan off Mos Eisley, and the destruction of the second Death Star. The book also includes details of the ship’s modifications, a schematic diagram, crew profiles, and technical sidebars on the Falcon’s most important components. Relive the adventures while you create a replica of the scrappy smuggling ship that made galactic history! Without R2-D2, where would the galaxy be? Queen Amidala wouldn’t have escaped from Naboo, Luke Skywalker wouldn’t have trained under Obi-Wan Kenobi, and Princess Leia would have been executed by Darth Vader on the Death Star. Now with Star Wars Master Models: R2-D2 you can give this little droid his due by following his many adventures as he saves the galaxy time and again. 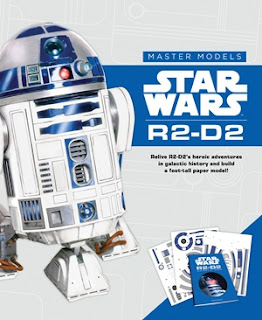 Then build the ultimate papercraft model of everyone’s favorite R2 unit, complete with lights and sound! Star Wars Master Models: R2-D2 includes die-cut pieces with metallic-ink printing, push-button lights, a sound chip, and detailed instructions on how to construct the model—everything you need to build a one-foot tall model of R2-D2. Plus, this kit includes a paperback book that begins with R2-D2’s early days on Naboo and artfully brings to life those key moments in the Star Wars saga when his quick action saves the day. 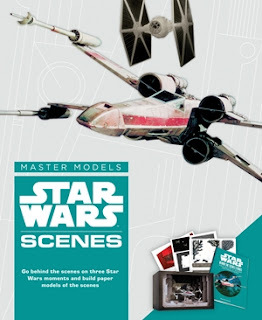 Relive the adventures, learn new details from the Star Wars universe, and make an awesome model to display. Go behind the scenes to discover the special-effects magic that made three iconic Star Wars saga battles possible—then recreate these moments in spectacular papercraft models! Since 1977, when the world was first introduced to the Star Wars, audiences have been swept away by the onscreen wizardry that has so vividly brought to life the struggle between the dark and light sides of the Force. Now, learn the secrets behind the effects and innovations that made three action-packed scenes possible: Obi-Wan Kenobi and Darth Vader’s duel on the smoldering mining planet of Mustafar in Revenge of the Sith; the trench run on the Death Star in A New Hope; and Kylo Ren and Rey’s lightsaber fight in the forest of Starkiller Base in The Force Awakens. Recreate these iconic scenes in papercraft dioramas, including one with LED lighting! Follow the easy, step-by-step instructions to turn the included punch-out pieces into your own keepsake replicas. Proudly proclaim your love for the galaxy far, far away with out-of-this world cross-stitch projects. Explore a universe of patterns inspired by the Star Wars saga, from A New Hope to The Force Awakens. 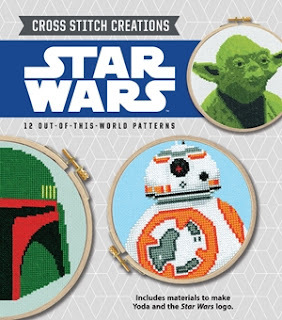 Including twelve patterns, an easy-to-follow instruction booklet, a needle, and a hoop, this comprehensive kit also comes with the cloth and embroidery floss for two projects—the iconic Star Wars logo, and a detailed portrait of Yoda. Organized by skill level from Padawan to Jedi Master, there’s an array of projects to satisfy novice and experienced stitchers alike. Design inspirations include everything from classic quotes to beloved character portraits, and the logos of the Empire and the Rebellion. Alongside patterns and tips, the helpful instruction booklet features ideas for applying your stitching to pillows, clothing, tote bags, and more. 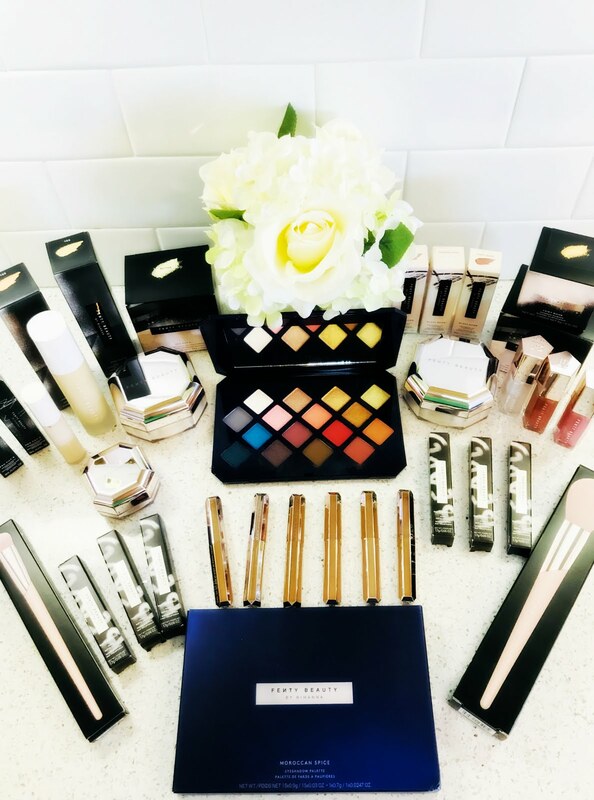 Whether you’re embellishing your home decor or stitching exceptional gifts for family and friends, crafting with Star Wars has never been easier.